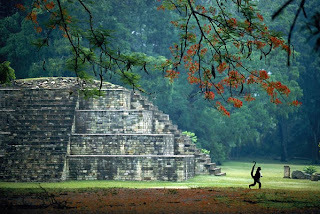 Honduras is one of the archeological treasures from the Mayans with numerous places that are evidence of the greatness of this civilization. It is considered a biodiversity hotspot because of the numerous animal and plant species that live there. Honduras predominantly speaks Spanish, but offshore the mainland in the north, lies the Bay Islands where English is widely spoken. These islands are one of the many premier tourist destinations of the country, specially the unspoiled island of Roatán. The contestant from Honduras to the world's greatest beauty contest comes from the nation's most prestigious and important pageant, Señorita Honduras, under the direction of Eduardo Zablah. The nation debuted in Miss World back in 1955 but have not yet placed in the semifinals of the pageant. This year, Honduras will be represented by Marilyn Medina, who won the Señorita Honduras 2010 pageant on July. TimesOfBeauty.com proudly presents Señorita Honduras 2010 in an exclusive interview for our series Meet the Misses. I have a strong personality, with a lot of confidence, I know who I am, what to expect from life and where I am going. Honduras is the heart of Central America. We are warm hearted, eco-friendly, hard workers, and fight against injustice. Honduras is a country filled with history. We are proud of our ancestors, their legacy, customs, traditions, and culture. We are filled with numerous jaw dropping places and wide range of exotic animals and medicinal plants. It is an honor and responsibility to represent my country, Honduras, in Miss World because it is a prestigious event that gets involved in humanitarian acts and observes us, ambassadors, as a complete woman instead of focusing on the physical aspect. I am learning about the culture, customs and traditions in China. I am also learning more about my own country in order to intrigue individuals to visit Honduras. I am strengthening my art as a magician and I am a professional dancer right now I am working to perform a dance called tribal, which is a combination of oriental with African dance. The African dance because it is native in my country from the Garifuna. The Garifuna used this dance their ceremonies as their rituals. Determined because it’s a requirement established by myself to accomplish my aspirations and can only be acquired through discipline. Ten years from now I see myself as an accomplished Biochemist engineer serving my community and as the first female president in Honduras. I would not choose any of the options because through my intelligence I will accomplish my goals and become rich. Mr. Rafael Ferrari who despite his economic solvency is the president and founder of an institution called Teleton. Institution founded in order to rehabilitate people from all social strata with physical disability. To this day there are fifteen Teleton rehabilitation centers nationwide. He also serves to fill the hearts of all Honduran who love soccer. He is currently the president of the National selection that went to the world cup held in South Africa in June 2010. Definitely Honduras I would not choose any other country since mine is a paradise. Honduras has beautiful beaches, mountains, forests, unspoiled jungles…. you name it. We lack on money but are millionaire in caring for others; natural beauty, history, culture, traditions and places that can make anyone fall in love and never want to leave Honduras. Humans rights is a problem we have been facing for years and we haven’t been able to solve it. One of the issues is fear of what will be said and the consequences of speaking up. It is a combination of both. As ambassadors we have the opportunity to express our thoughts but must keep in mind we may harm others feelings with what we may say and for the reason me have the obligation to be somewhat politically correct. I am looking forward to meeting new people, the new culture, customs, traditions, and folklore. Every ambassador will introduce me to their country and language and I will teach them about Honduras. But my main focus is to bring the Miss World crown to Honduras. I admire all of them because each one has achieved their goals, represented their country in a highly manner and has portrayed an inviting atmosphere for us to visit their country. They are my role models. I love the concept of “Beauty with a Purpose” since it takes into account what each of us are doing in our country for the less fortunate. It’s much needed but unfortunately not all are involved in humanitarian acts. As ambassadors of our country it is our duty to promote care and welfare for our neighbor. Caring for someone besides ourselves makes us better human beings and we engage with those in need without expecting anything in return. First of all I want to thank my supporters for giving me the strength to pursuit my dreams and having faith in me. For the readers of World of Misses my journey as Miss Honduras is initiating and is filled with unknown surprises that will enhance me in every aspect and teach me more about life. I will bring victory and will share them with you. Personal Motto: One strives in life for what they want to achieve. Eduardo Zablah, director of Miss Honduras Belleza Nacional organization.